At Indaba, everything is driven from our core set of principles: Collaborate, Innovate, Grow. Working together with our clients, we focus on their entire business in order to architect, build, deploy and support innovative solutions. Taking an E-commerce-centric approach, Indaba understands every business asset that will provide the tools and platforms for tangible and measurable growth. 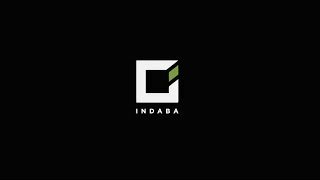 With many decades of combined experience, Indaba continues to improve our process of supporting clients through the discovery of their needs, and the delivery and support of their E-commerce systems. All of this is made possible by working with the most talented people in the industry, and focusing on curating a viable and effective ecosystem of partners that adds value to our client relationships. Indaba is an expert web development & design agency, specializes in a variety of industry leading e-Commerce platforms. We lead with an agnostic approach, mapping out both short term, and long term business goals to build & maintain scalable websites for a diverse portfolio of e-Commerce businesses. Indaba monitors and analyzes shopper behavior specific to your website, to constantly improve the user experience. Using tools like heat mapping, and video recordings, we consistently generate insights and make recommendations to help drive higher conversions, stronger ROI, and improved average order value. Indaba offers complete creative user experience design. We design beautiful websites, but more importantly we leverage user feedback and data to make websites that function well and are easy for people to use. Indaba develops custom backend integrations to create an automated workflow with your CRM or ERP as well as accounting and fulfillment services. We make sure your transition to BigCommerce's e-Commerce platform runs as smoothly as possible with your current systems and internal operations. Every business is unique, and Indaba understands your website has custom requirements. Implementing things like subscription modules, or allowing shoppers to build their own unique configurable products, often require custom development specific to your business. Indaba knows which platforms work best for your business requirements, what comes “out the box”, and when a custom build is the right choice. Indaba has a diverse portfolio of custom module builds, and intimate knowledge of the e-Commerce partner community. We’ll leverage existing modules and tools in the marketplace to help automate your business, and avoid “re-inventing the wheel” whenever possible. Many merchants feel they have a strong understanding of how their customers are engaging with the website, but not a clear understanding of how to maximize the return. There are very effective ways to generate incremental revenue from your website, ensure a strong user experience, and answer any questions that may come up around website performance. Indaba Group can help with all of these aspects! Using tried and true methodologies, Indaba Group will provide that incremental lift in revenue through A/B/n testing, on-going reporting, and consistent site-side improvements. Enterprise cloud hosting offers powerful computing performance, flexibility and security as well as robust storage capabilities. With scalability designed to fit your budget and performance requirements, cloud hosting is a valuable asset in the world of e-Commerce. 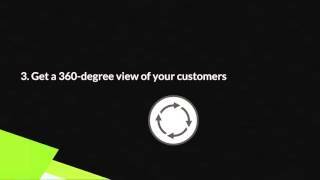 Scalable solution which allows for seasonality, peak traffic, marketing promotions, and business growth. For this webinar, OroCRM partnered with Indaba Group to show you why B2B e-commerce companies need a CRM. B2B customers are starting to increasingly act like B2C consumers, with a desire for self-service tools that give them instant access to product information and easy-to-use E-commerce websites for wholesale and manufacturing. In order for distribution businesses to stay competitive in this evolving landscape and meet the demands of their customers, they need to optimize their B2B game plan. During this webinar, Ryan Shields, CEO of Indaba Group, will discuss how B2B is going to overtake B2C, which principles B2B businesses should adopt as they move into an online E-commerce model, and why B2B retailers need a CRM tool to understand their customers on a deeper level and stay competitive.